Identity as a scientist and entrepreneurial thinking are critical for students of STEM to succeed, both in their college-based education and their careers. 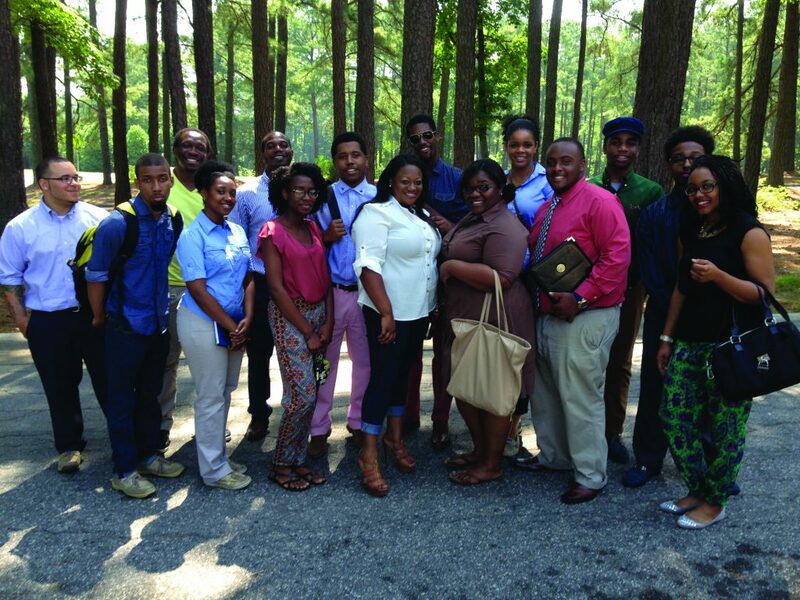 In recognition of this, a team of researchers from North Carolina Central University has developed DREAM STEM – a program that aims to develop scientific identity and a mindset for entrepreneurial thinking. This, in turn, improves enrollment, retention, persistence and graduation rates. Identity is what makes us, us. Of course, identity is a dynamic notion – something that changes throughout our lives. Our background and experiences will shape it greatly. Nevertheless, many would agree that a sense of identity and where one ‘fits’ is a fundamental aspect of what motivates them from day to day. The same is true of STEM students. Identity influences not only their choice to enter related fields, but also their determination to continue down that path. Another important tool for success in the world of STEM is entrepreneurial thinking. This type of thinking enables students to solve challenging problems – perhaps thinking outside the box to do so. It also helps students to tailor their career goals and aspirations to market needs, and to make strategic business decisions. Often these skills are lacking in STEM graduates. It is important, therefore, that college STEM programs are equipping students with these attributes. To that end, a team of researchers from North Carolina Central University (NCCU) – consisting of Dr Caesar Jackson, Dr Alade Tokuta, Dr Tanina Bradley and Clarrisa Grady – developed a program known as ‘DREAM STEM’, or ‘Driving Research, Entrepreneurship, and Academics through Mastering STEM’. DREAM STEM aims to develop a student’s identity as a scientist and expand their mindset for entrepreneurial thinking. 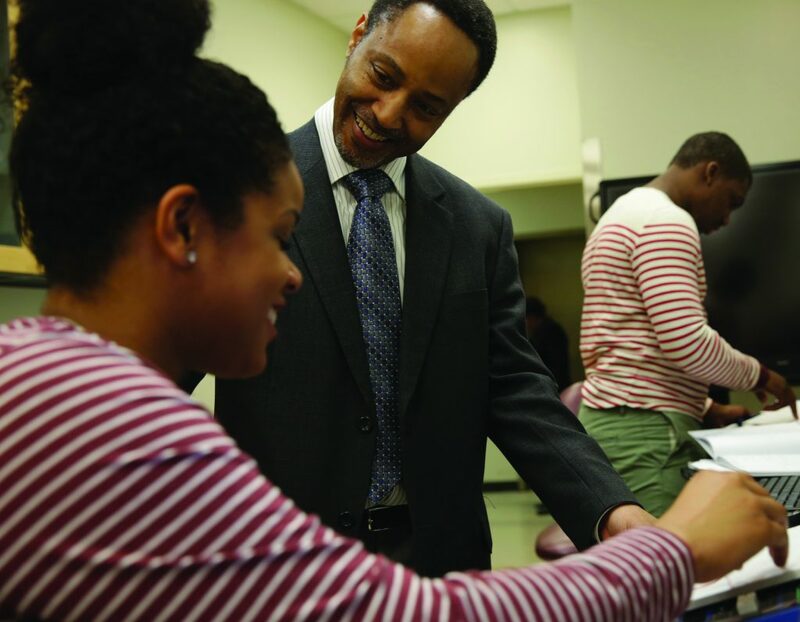 This, in turn, has improved enrollment, retention, persistence and graduation in physical and mathematical sciences undergraduate degree programs at NCCU. 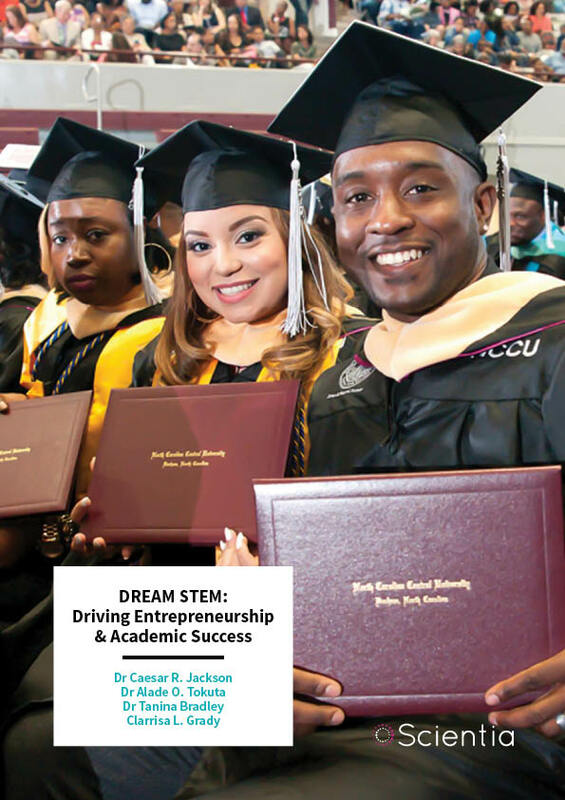 The DREAM STEM project was established at NCCU in 2012 with a grant from the Historically Black Colleges and Universities Undergraduate Program (HBCU-UP) of the National Science Foundation (NSF). The major goals of the program are to increase enrollment and retention in STEM degree programs at NCCU, to increase persistence and graduation rates in STEM and to produce highly-skilled STEM graduates who can create and innovate. There are three central components of DREAM STEM, along with related initiatives and strategies, to ensure that these goals are attained. The first component focuses on what the team refers to as ‘Teaching-as-Research’. The second one focuses on entrepreneurship in science education. Finally, the third component aims to develop a student’s identity as a scientist. The Teaching-as-Research component promotes innovation in the teaching practices of STEM faculty at NCCU. To do this, DREAM STEM provides financial assistance through mini-grant awards to incorporate, study and test evidence-based approaches in their classrooms. One mini-grant awarded by DREAM STEM focused on increasing participation rates of African American students in STEM classes by offering engaging learning activities based on real-world scenarios. During this initiative, a new science course known as ‘STEM 1200 – Scientific Decisions in Everyday Life’ was created. The associated learning experiences centered on the mathematics of stock markets, the science of musical sounds, and the kinetics of human movement, to name a few. All units used student-centered demonstrations and active engagement activities in the instructional approach. In another project, teachers designed and implemented two analytical chemistry courses – ‘Quantitative Chemical Analysis’ and ‘Instrumental Analysis’. Each project involved identifying a problem, locating an appropriate method by searching the literature, designing a study, collecting samples, measuring variables, analyzing data and presenting the results in a formal report and an oral presentation. Students engaged with many interesting projects – analyzing latent fingerprints, gun powder, over the counter cough syrups and water samples in the process. The ‘Entrepreneurship in STEM Education’ component is delivered through the Research, Discovery and Innovation (RDI) Summer Institute. To support the delivery of this program, the DREAM STEM team created a new course known as ‘STEM 1000 – Rediscovering STEM through Entrepreneurial Thinking.’ In conjunction with RDI Summer Institute, this course is an experiential opportunity that engages students in the research and development (R & D) aspect on entrepreneurship by encouraging them to propose creative solutions to real-world problems and prototype their innovative products. In addition to hands-on design skills development, students were trained on how to carry out market analysis and identify financial sources to fund a business behind their products and solutions. At the end of the RDI Summer Institute, students pitched and demonstrated their creations to an audience of peers, faculty, staff, and guests in a closing program. Examples of student-designed products include: a phone case with integrated solar charging capabilities, a voice-activated taser and flashlight bracelet for personal safety, a door-bell security system with fingerprint recognition, and automated claws for drones that can identify objects and pick them up. As is highlighted by the DREAM STEM team, a student’s scientific identity is thought to consist of three overlapping facets; namely, performance, competence, and recognition. In addressing these facets, DREAM STEM offers students scholarships to demonstrate performance, undergraduate research experiences to demonstrate competence, and opportunities to attend and present at national STEM meetings to gain recognition. To support this process, students are awarded academic scholarships for tuition and fees, book awards, work stipends, paid undergraduate research experiences, and conference travel to attend professional meetings. 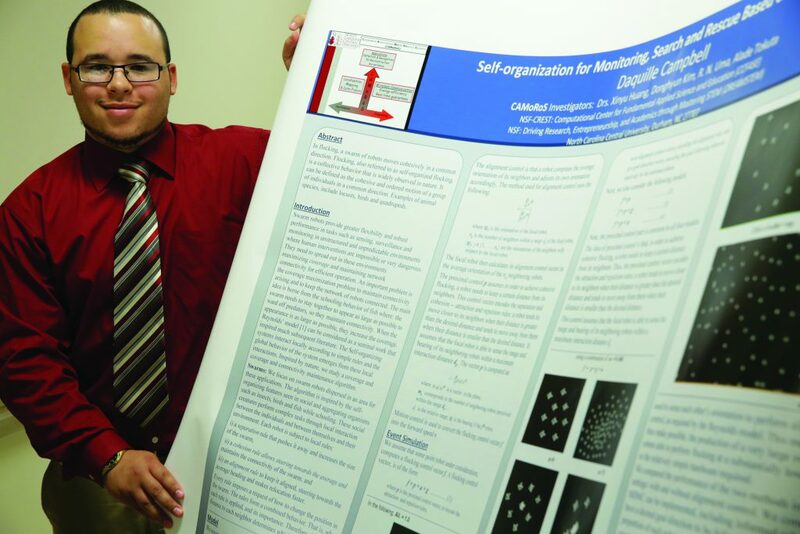 Furthermore, to make students feel like they are part of the scientific community, DREAM STEM undergraduate researchers submit abstracts and give oral and poster presentations at the Annual Emerging Researchers National (ERN) Conference in Washington, DC. In addition, DREAM STEM also supports students attending and presenting at the Annual Biomedical Research Conference for Minority Students (ABRCMS) and the National Society of Black Physicists Conference. The first project component of DREAM STEM, that is, Teaching-as-Learning, resulted in two mini-grant activities, both of which had a positive effect on student learning. For example, STEM 1200 – Scientific Decisions in Everyday Life achieved statistically significant gains in student’s confidence in areas such as writing, scientific thinking and problem solving. The analytical chemistry course resulted in higher course retention and increased student confidence in terms of laboratory, analytical and communication skills. The second component, Entrepreneurship in Science Education, likewise imparted many benefits to students. Surveys conducted by the DREAM STEM team found that students’ felt more confident in their ability to turn ideas into feasible business opportunities, develop a product plan, conduct market analysis and make strong presentations. Students also reported higher self-belief. In terms of technical skills, students felt that they could better select a promising concept and implement the design. Many even reported a stronger desire to be a business owner or inventor in a STEM-related field. Finally, the DREAM STEM team found that the third component helped students to develop their identity as a scientist. Surveys indicated that students were more confident in their ability to apply science knowledge, work independently in a lab, communicate science and technology to professionals both orally and in the written form, prepare technical or science research talks and critique their work and that of others. In summary, they felt part of the scientific community. Due to the support offered by the DREAM STEM team, many students were able to persist in their studies and graduate with STEM degrees. Retention rates for freshmen who were DREAM STEM participants averaged 97% compared to 28% for non-DREAM STEM students in the general population of STEM majors. Likewise, persistence in STEM to 3rd year for DREAM STEM participants was 92% compared to 23% respectively. In addition, four-year graduation rates for freshmen who were DREAM STEM participants was 43% compared to 10% for non-DREAM STEM students. 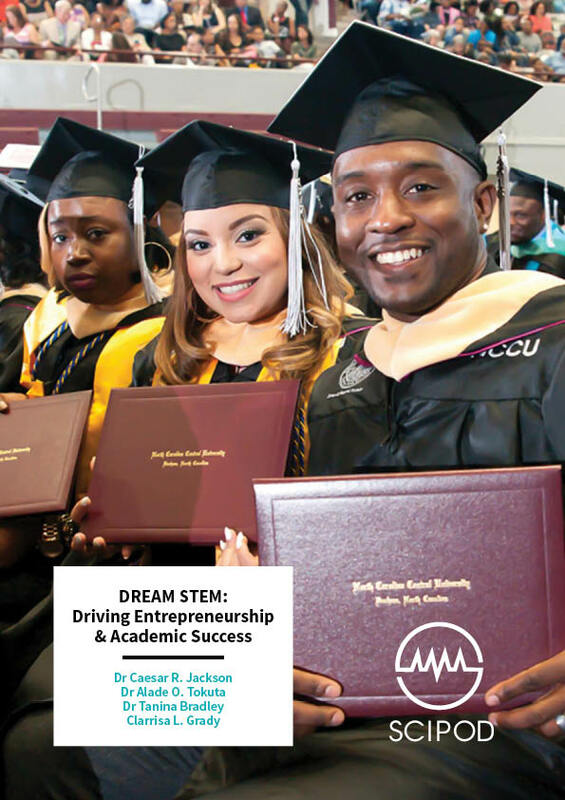 The Chemistry, Mathematics and Physics degree programs at NCCU were specifically targeted by DREAM STEM, and during post-HBCU-UP award period, average degree production increased in Chemistry by 69%, in Mathematics by 50% and in Physics by 88%. The DREAM STEM team did acknowledge some barriers to meeting the objectives of the project. For example, there was a low number of submissions for mini-grant proposals and some of the STEM faculty felt that the effort required to prepare a mini-grant proposal was a limiting factor to their participation. Another challenge was that some of the STEM faculty did not have the full complement of skills needed to define and conduct education research projects. Unfortunately, after a few rounds, no new calls were made for faculty mini-grant proposals and this component was suspended. Given the benefits imparted to students while implementing and testing evidenced-based pedagogies, future opportunities will be explored that provide professional development of STEM faculty in the education research area. All things considered, DREAM STEM has had a hugely positive impact on student learning in STEM. It has achieved this through three components – improving the delivery of STEM education through ‘teaching-as-research’ initiatives, stimulating and enhancing entrepreneurial thinking, and strengthening a student’s identity as a scientist. All of this has positively impacted retention, persistence and graduation in STEM at NCCU, as has been evidenced thus far. This will only continue as DREAM STEM is enhanced and expanded in the years to come. 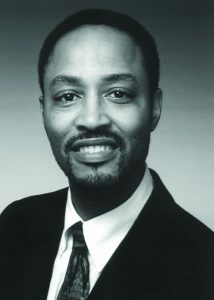 Dr Caesar R. Jackson received his PhD in Physics from North Carolina State University in 1992. He joined North Carolina Central University as Professor of Physics, where he led the development and implementation of DREAM STEM with aims to increase enrollment, retention, persistence, and graduation in physical and mathematical sciences undergraduate degree programs at NCCU, focusing on students’ science identity development and entrepreneurial thinking mindset. 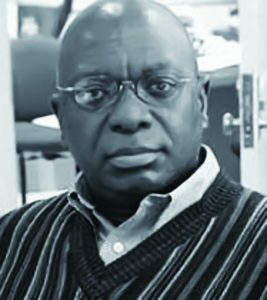 Dr Alade Tokuta received his PhD in Electrical Engineering/Computer Science from the University of Florida. He currently serves as Professor and Graduate Coordinator at NCCU. His research interests include computer graphics, image processing, robotics, computer networking, computer-aided design, geometric modelling and bioinformatics. He leads the undergraduate research experiences activities that provide intensive scientific training of students and prepares them to communicate science to professional and general public audiences. Dr Tanina Bradley received her PhD in Electrical Engineering from North Carolina Agricultural and Technical State University in 2012. She has been with NCCU since 2013, where she now serves as 3+2 Dual Degree Program Advisor and Adjunct Assistant Professor. Through the DREAM STEM program, she assists with the delivery of a holistic academic support, and provides enrichment, research, and work opportunities for mathematics, physics and engineering students. 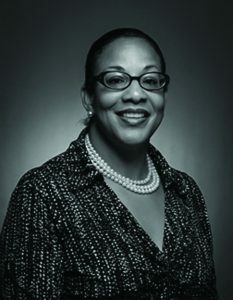 Clarrisa Grady received her Master’s degree in Public Administration from NCCU in 1995. Since then, she has worked with several federal, state and non-profit organisations as a public servant administrative manager. 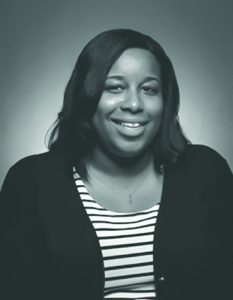 Since 2013, she has been serving as the Program Coordinator for the DREAM STEM Project.